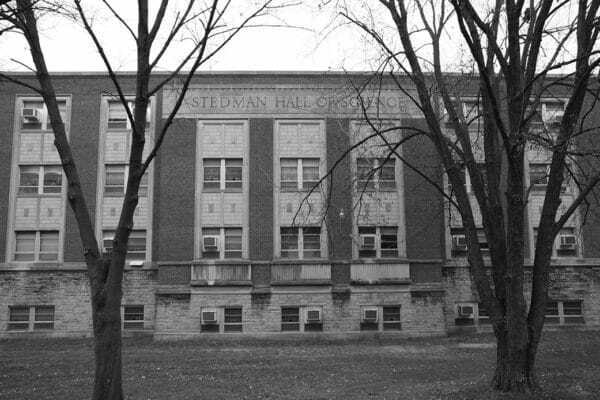 After 50 years as the primary science building at Central Methodist University, Stedman Hall was in need of a complete renovation. 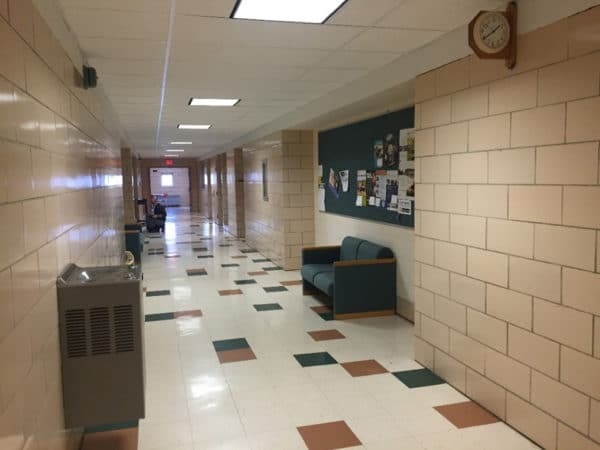 Pedagogy had changed and the way students lived and learned bore little resemblance to the previous generations that occupied the building. 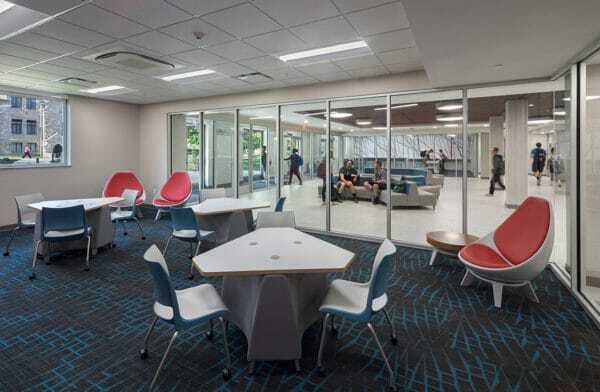 The original spaces lacked flexibility and provided little to no opportunity for informal interaction. 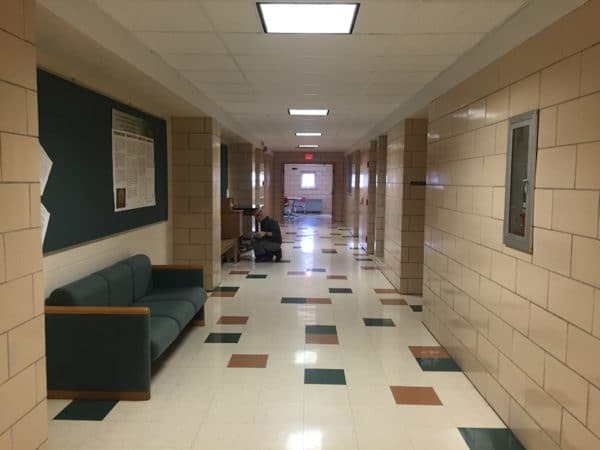 Outdated systems and technology limited the University’s ability to attract and provide a high level of education that should be expected from incoming staff, faculty, and students. 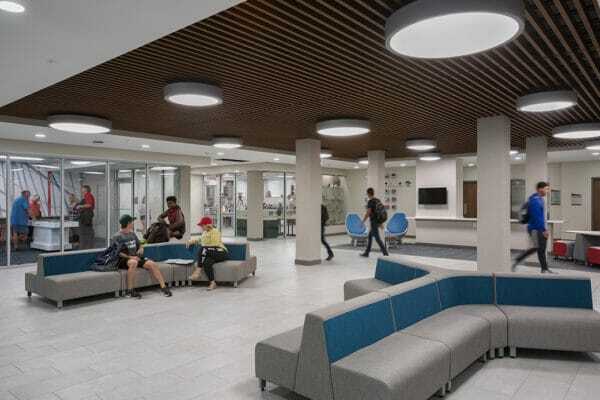 Trivers was selected, in part, on the concept of reorienting the entry sequence with the addition of a new pedestrian bridge, creating a new “front door” for the building. 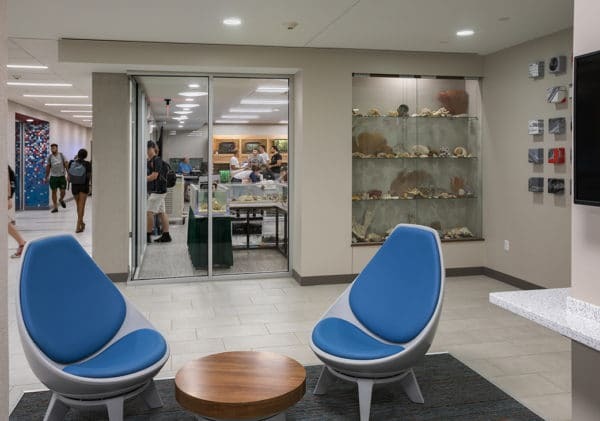 Spatial re-organization of the building’s program allows for a large collaboration space at the reimagined entry, acting as the heart of the building to provide flexibility for day-to-day interaction as well as exhibit space. 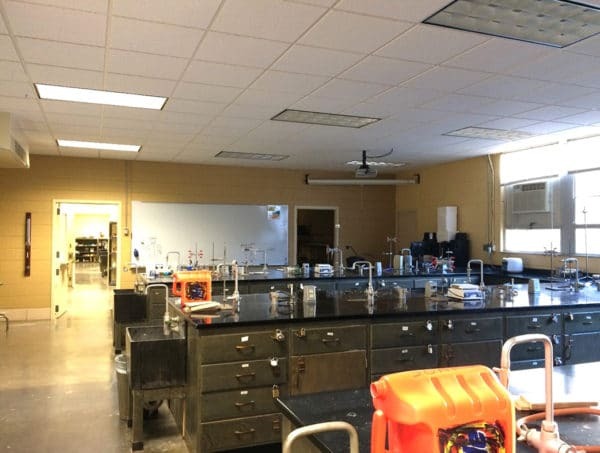 Laboratory and classroom spaces were also modernized to be flexible enough for use in a variety of education scenarios. In addressing the client’s desire to activate and connect visitors to the life within, a concept of erosion and permeation of spaces was explored. 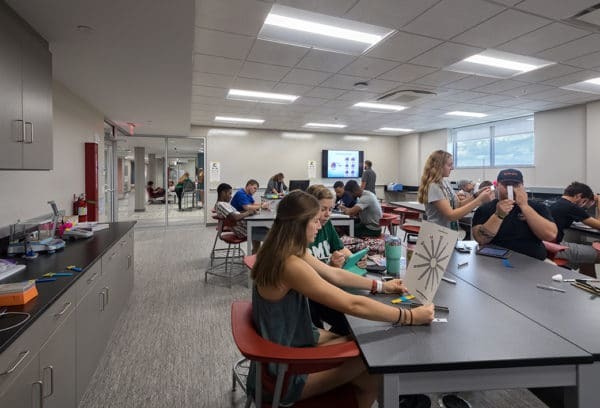 Strategic placement of glazing at labs and classrooms invite outsiders to visually connect with the work taking place. Modes of interaction are emphasized through the layering of spaces, materiality, and levels of transparency. 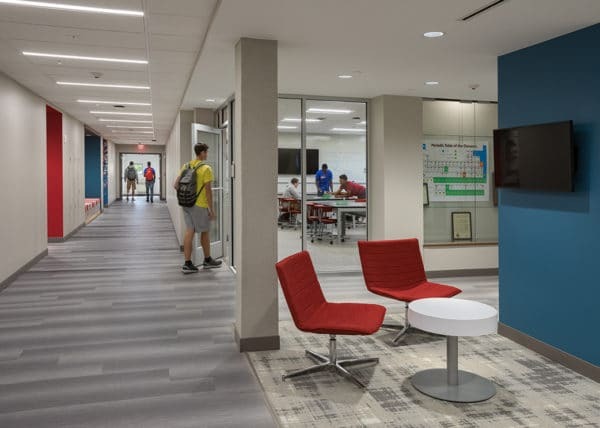 Through design research and collaboration with faculty members, ways of redefining the classroom and providing flexibility for the future were incorporated. 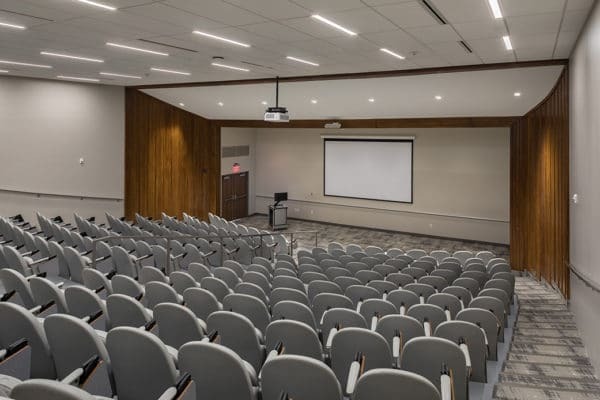 The renovated Stedman Hall includes classrooms, offices, teaching labs and research space. 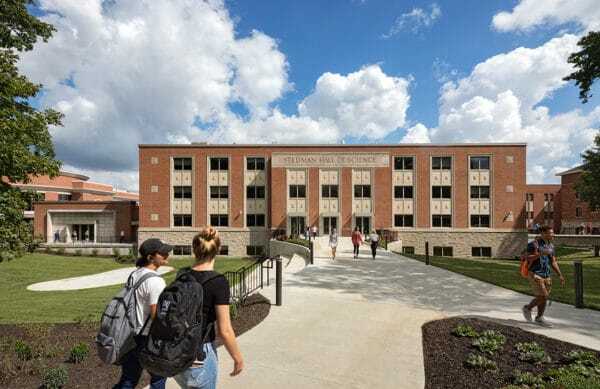 The endeavor has reintroduced the building as an integral part of campus as originally intended, creating a place for learning that supports and advances Central Methodist’s science education in the 21st century. 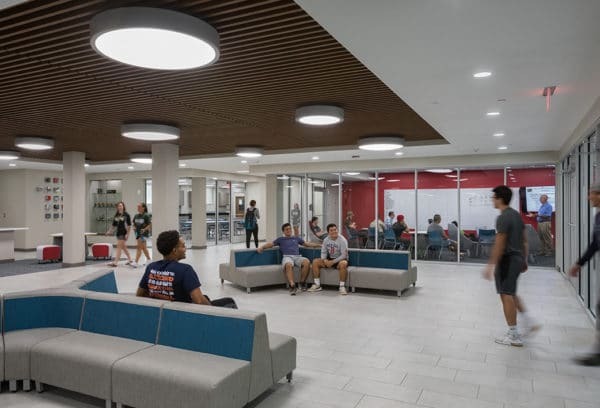 Since the completion of the renovation, enrollment in science programs and freshman retention in these programs is the highest in University history.